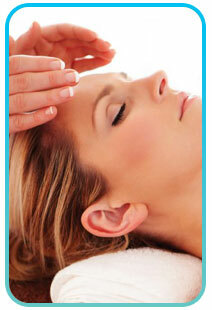 Reiki is an ancient form of holistic therapy which brings about healing on a physical, mental and spiritual level. It is a deeply relaxing and calming experience and gently eases way stress, anxiety and tension and this wonderful form of natural healing is now available at S. Walton Eye Care. Reiki energy flows through the Reiki Practitioner's hands by placing the hands near or on the body of the recipient and this activates the natural healing process on all levels. Susan is a very gentle, experienced and qualified Reiki Practitioner and is a full member of the Guild of Holistic Therapists. She is also a qualified Practitioner in Crystal Healing and Chakra Balancing and is an experienced Meditation Teacher.